“This is a big day northern-Norway,” says Geir Seljeseth, Regional Manager of the Norwegian Oil and Gass Association. In a telephone interview from Tromsø Sunday morning, Seljeseth says to the Independent Barents Observer that the project is important for the supply industry, for Hammerfest as a town and with repercussions for all over northern Norway. It was Petro.no that first reported about the startup of oilpumping from Eni Norway’s Goliat platform. 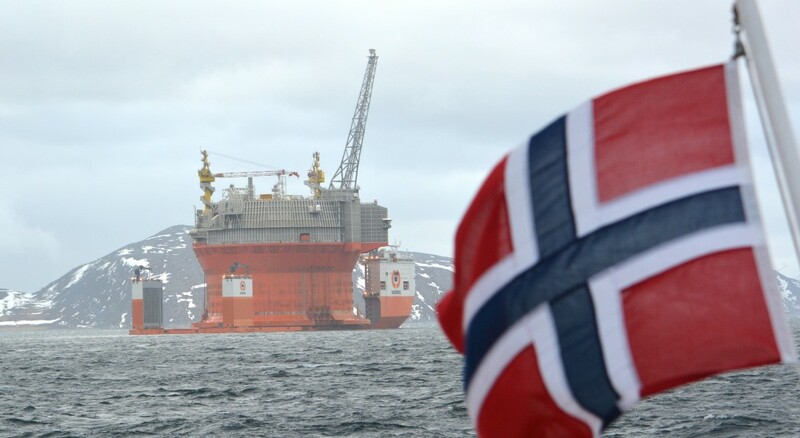 Located 88 kilometres north of Hammerfest in the western part of the Barents Sea, Goliat sets world record for being the northernmost offshore oil field. It is the second offshore oil production unit in the European part of the Arctic, after Russia’s Prirlazlomnoya in the Pechora Sea. The Goliat project has turned a nightmare-like story for the Italian oil company. Production at the platform was originally to start in 2013. Norway’s Petroleum Safety Authority formally approved the use of the Goliat floating, production and offloading platform in January this year. Construction of the platform in South-Korea was long delayed and costs overrun are estimated to NOK 17 billion (€1,8 billion). Total price tag for the project is now NOK47 billion (€5 billion). The Goliat field in the Barents Sea was discovered 16 years ago. Estimated production will be some 100,000 barrels per day. The oil will be stored in the floater itself before being reloaded to tankers and sailed to the markets. The licensees in the current Production Licences PL229/229B are Eni Norge AS (operator, 65%) and Statoil Petroleum AS (35%).